Pola Thomson is a Chilean born, NY based designer. She attended the prestigious Pontificia Universidad Católica de Chile, where she completed a B.A in Design with a strong focus in art, aesthetics and design. Soon after, she started her journey around the fashion capitals of the world; during those days, she enrolled in different courses at Central Saint Martins College of Arts & Design in London and Parsons The New School of Design in New York. 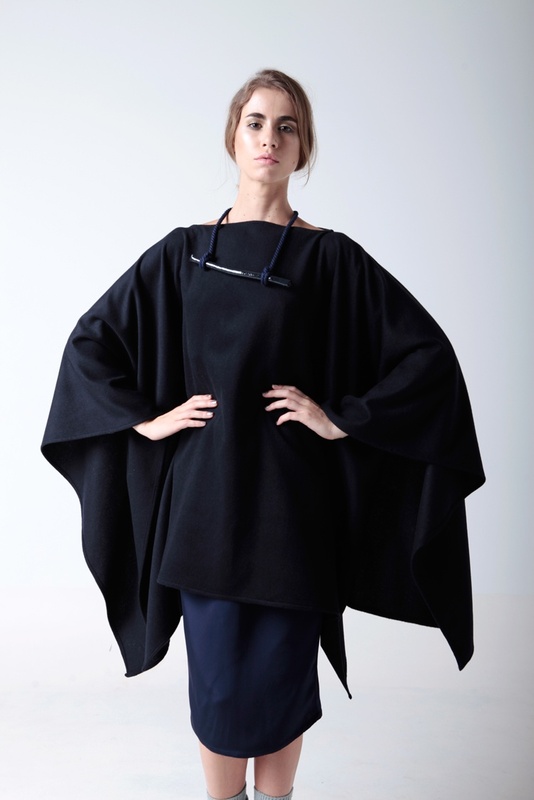 POLA THOMSON is her eponymous womenswear and accessories collection launched in 2010. Her collections have been presented in Encuentro de Moda Independiente, Hecho en Chile y +, Raíz Diseño, Pasarela Santiago and in July 2010 at FWP (Fashion Week Panamá) in Panama City. In December 2010, she was elevated to a new level of status with the debut of her latest collection, in PRD (Pasarela Raíz Diseño) honored as “Best Collection” by international press, Harper’s Bazaar México and Marie Claire Latin America. This 2011 she was awarded with an invitation to show her SS’12 collection at the renowned tradeshow for new talents “Who’s Next & Première Classe” in Paris, France, where she won the “Femme” category, been invited again in January 2012 for exhibiting her FW’12 collection.Back in Chile she is has been recognized in 2011 by one of the the most important newspapers “El Mercurio” as one of the 100 young national leaders of the year.Her designs had been featured and celebrated by diverse medias from Chile, Panama, Mexico, Spain, Germany, Japan, Hungary and the U.K. to name a few. As far as I am able to see, the Pola Thomson Collection is available only in New York at present. Let’s hope others pick up the label making it accessible to a world-wide demographic … including me!